A couple of weeks ago we had a goal setting meeting to talk about our personal goals. One of our interns Alex Teodoru wants to learn how to cook so we came up with the idea that every Monday leading up to Christmas one of our interns will cook something traditional from their country and bring it in for us all to try and on the 14th Alex’s dish will be the big finale! 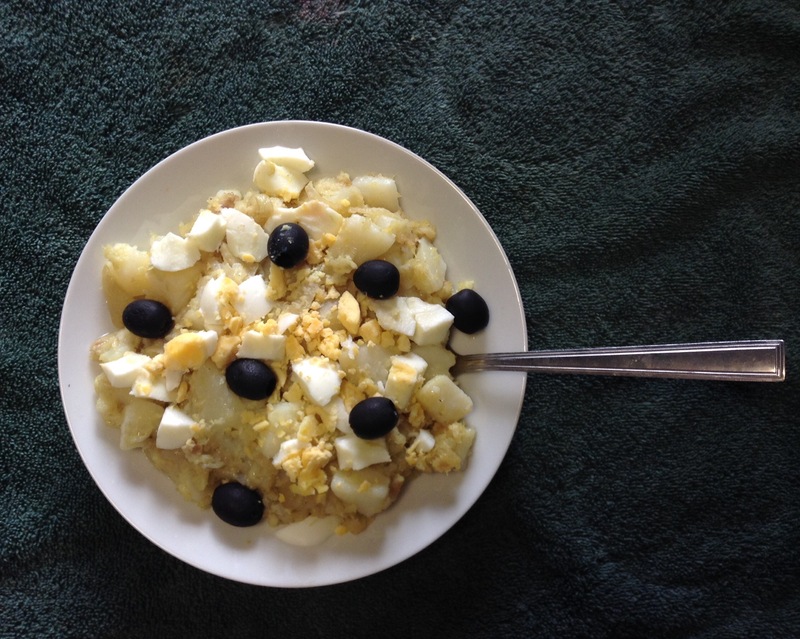 Last week Ana kicked off the challenge by making a Portuguese dish called Bacalhau à Gomes Sá. 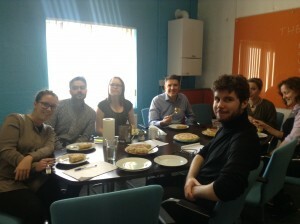 We all gathered in the meeting room to talk about our goals, ESPA news and updates, whilst eating the dish Ana made for us, which was very enjoyable! This week it was Alex Fernandez turn to cook for us, he made us a Spanish Omelette (which was delicious!). 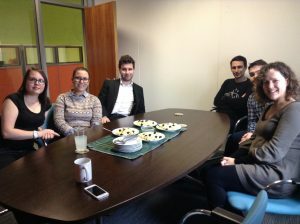 We ate this during our weekly meeting but it was a great welcome for Monica, our new HR intern from Italy who will be staying with us for six months. Thank you Ana and Alex, looking forward for next weeks dish!